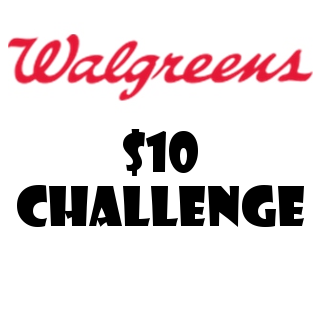 Here’s the challenge: take $10 and buy as much as you can at Walgreens while taking advantage of Register Reward deals (RR) and Balance Reward Points (BRP). These deals end 8/01. Don’t spend BRP on items that give you back BRP. You won’t get any more BRP in that transaction. Don’t spend RR on the same item. You won’t get another RR. Don’t spend RRs earned from P&G items on other P&G items. It’s excluded on the RR coupon. Flip flop back and forth between BRP deals and RR deals to stretch your $10 as far as you can! Split them up through the week, or do them all in one trip – whatever is easiest for you! Your grand total is $9.75 after the Ibotta rebate. You’ll get nine items with a retail value of $29.25.